CAMP END MANOR WINS ANOTHER AWARD! 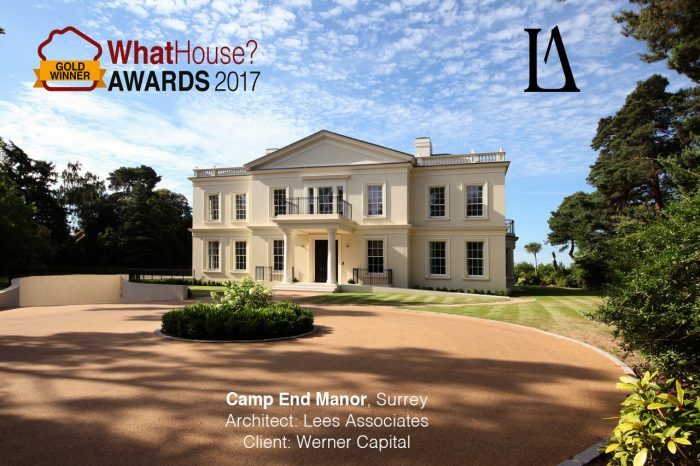 Hot on the heels of Camp End Manor’s International Design Award we are delighted for our client Werner Capital to have now been awarded the Gold award for Best Luxury House at the 2017 WhatHouse? Awards. The WhatHouse? Judges said, “Camp End Manor captures the essence of Regency elegance on the highest plot on St George’s Hill, with views that stretch for miles. Ceilings of 3.5m to all the main rooms add a distinct sense of grandeur to the interior” .